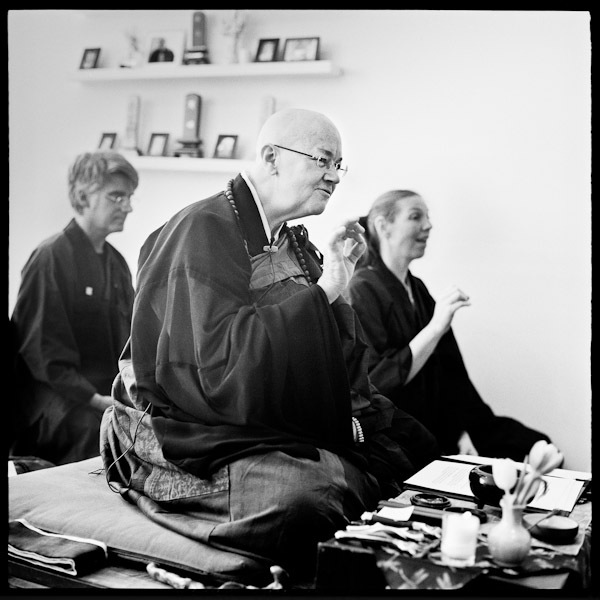 This April I photographed a tokudo, an ordination ceremony at the Village Zendo for my friends Kaku (pictured above), Tokuyu, and Oshin. 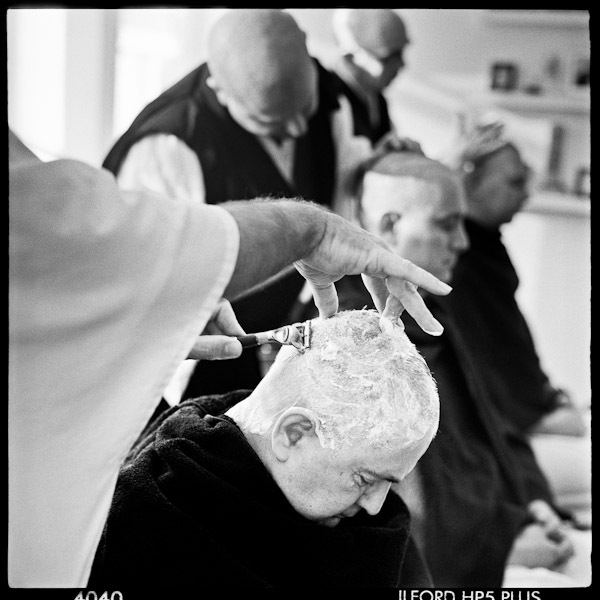 It began in the early morning with elder priests shaving the novices' heads. Then we held a ceremony in which my teacher Enkyo Roshi finished the job, shaving the last few hairs from the top of each new priest's head and giving him a new name. Oshin's deaf, so his fiancée Monshin interpreted the ceremony in sign language. The full set on Flickr.